The latest episode of my podcast is now live. I mention numerous wool producers, wool heros and wool explorers in this review so here are their details in some semblance of order. Warming Shetland Wool: Jamiesons of Shetland, Jamieson & Smith, Uradale, JC Rennie, Blacker Yarns and Garthenor. 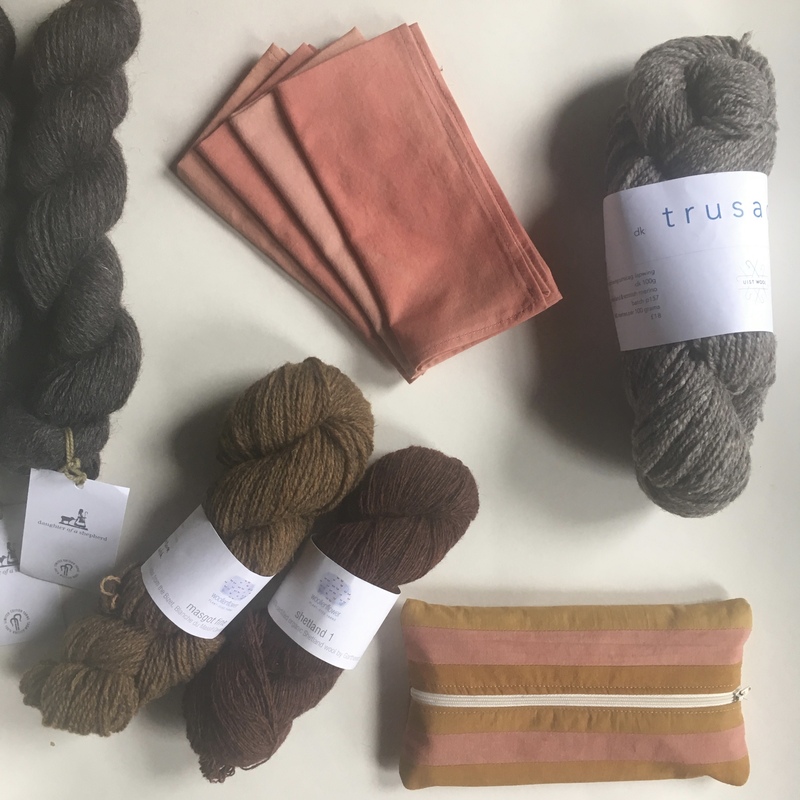 Colour work interest: Kate Davies, Marie Wallin, Sarah of FiberTrek, Nicole of The Gentle Knitter, Eli of Skeindeer Knits and Jennifer Steingass. 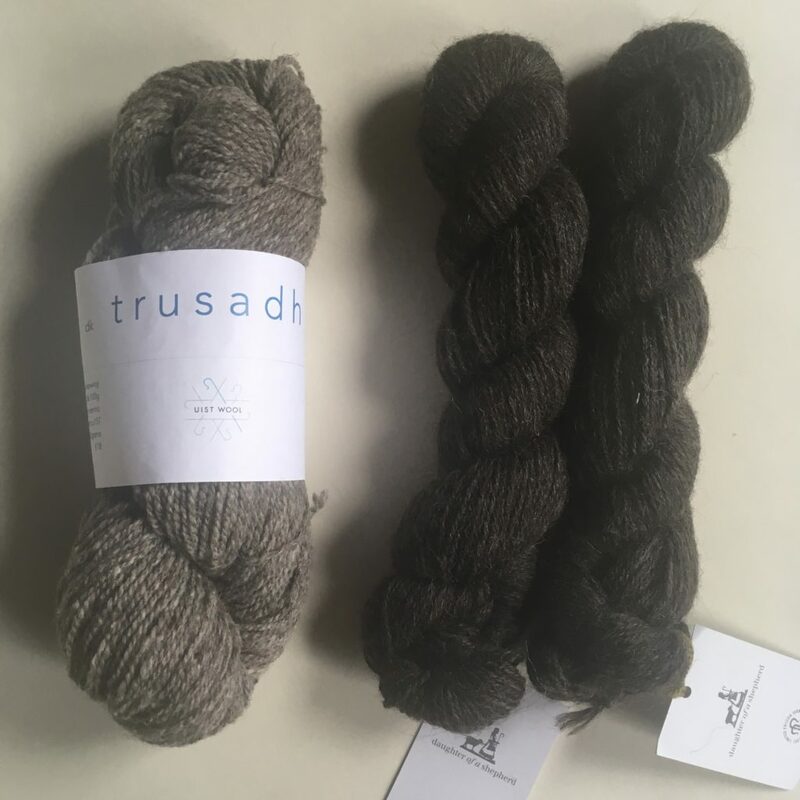 Natural shades champions: Blacker Yarns, Uist Wool, Daughter of a Shepherd, Louise of Knit British, Isla (formerly of Brityarn) and Sarah of FiberTrek. Natural dyers: Moel View Yarn, Hey Mama Wolf, Woollenflower and natural dyers who were visiting in a personal capacity: Elke of Tulliver Yarn and Emma of Woolly Mammoth Fibre Co.
Re-valuing waste: Bavarian Merino from Rauwerk, Ram Jam from Daughter of a Shepherd and Masgot Fine from Woollenflower. 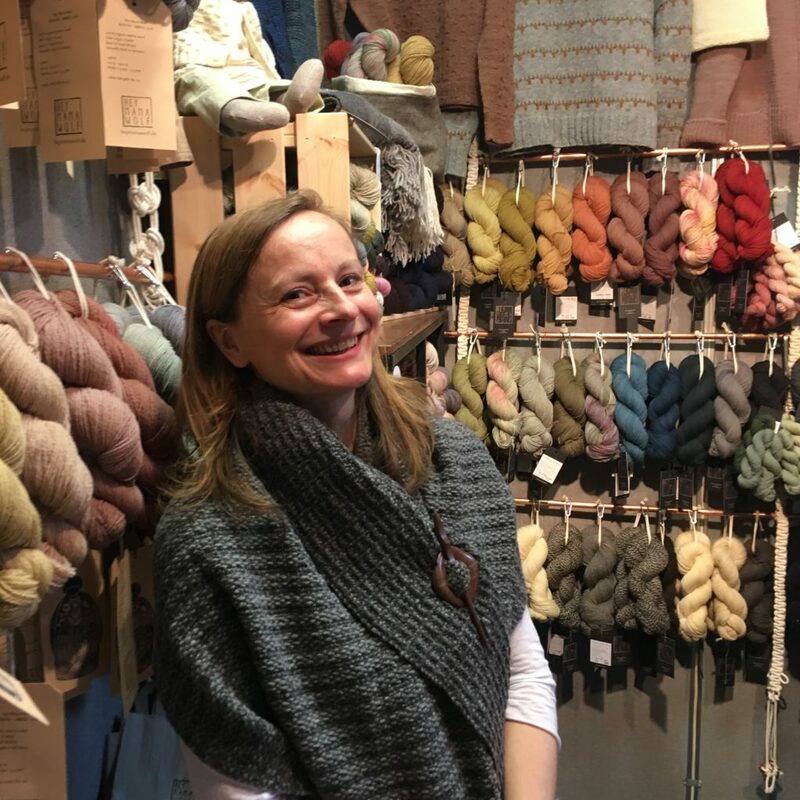 Boundaries pushing dyers: The Knitting Goddess with her One Farm Yarn and nylon-free sock blends, Kettle Yarn Co with Ramble and Baskerville and Emma of Woolly Mammoth Fibre Co, who is working with a mill to create a 100% British wool sock yarn. 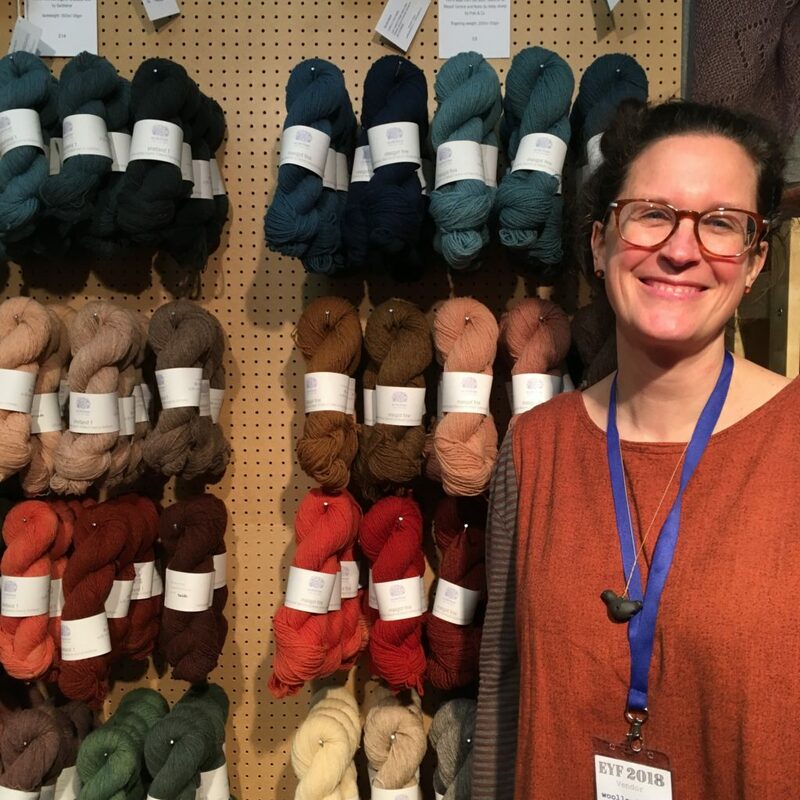 Unfortunately I missed out on the Meet the Shepherdess event, with fleece-to-skein producers like Croft 29, Lifelong Yarn, Black Isle Yarns, The Birlinn Yarn Company and New Leaf Yarns. After returning from EYF I allowed myself to enjoy some gentle playing to recharge the batteries. 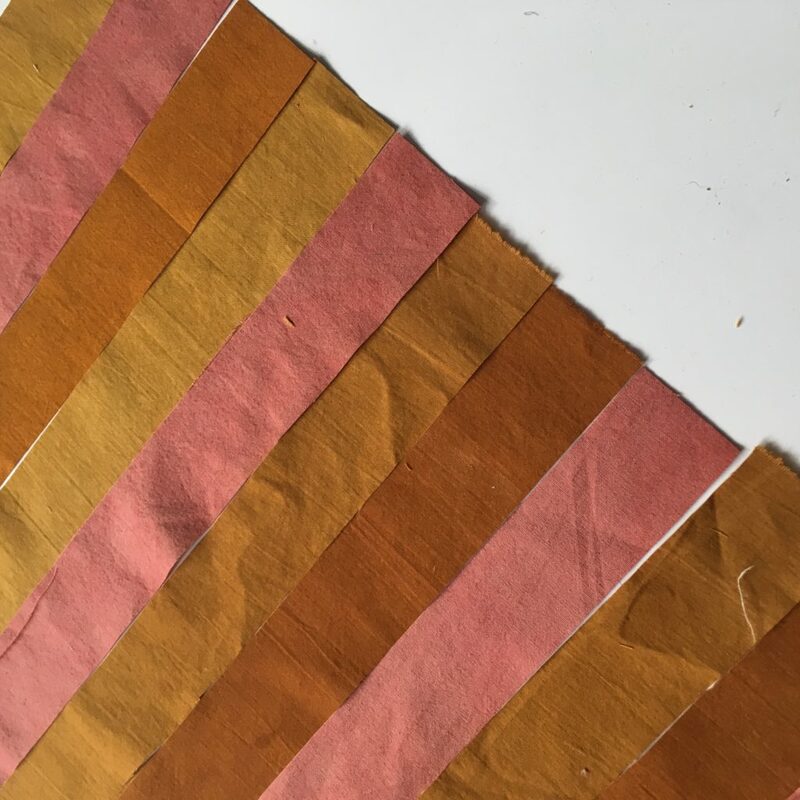 This saw me dabbling in the dye pots and dyeing up earthy tones using onion skins, mordanted using tea and alum potassium. 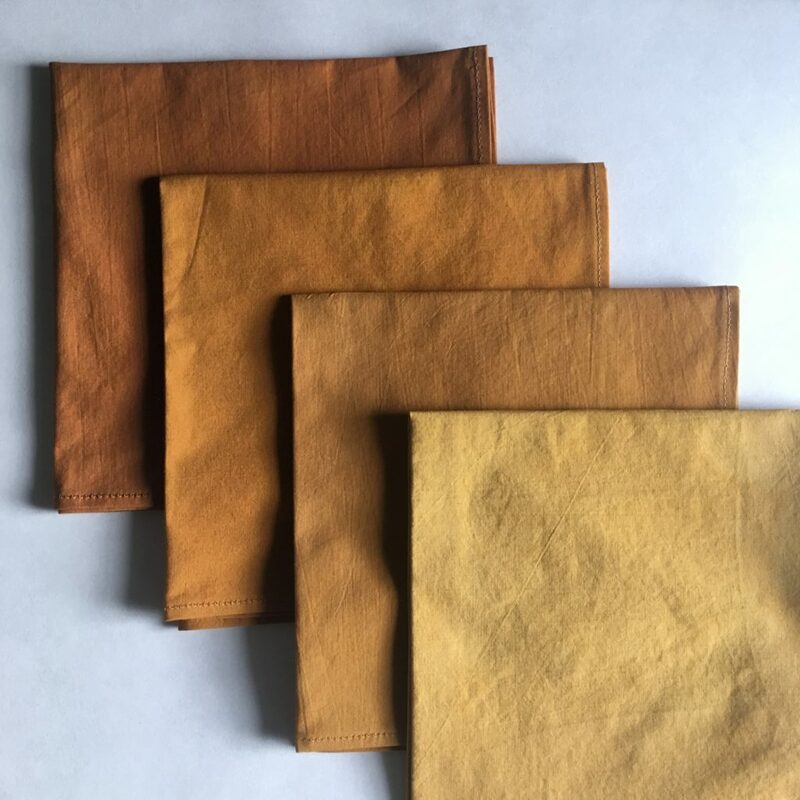 As I want to test my growing selection of dyed fabrics for wash and light fastness, I turned these oddments of fabrics into practical items: napkins and a pencil case. As I’ve not heard of the winner of the copy of Karie Westermann’s This Thing of Paper, I have redrawn a winner using Random.org. The book will now go to Woolillbedamned of Ceridigion in Wales. I also answer a question raised by Bethy40, who is Becca of Glasgow, prompted by a petition about microfibre plastic pollution she saw. She wanted to know if petitions make effective change or whether there are better ways to approach such problems. I don’t dwell on this particular petition but as environmental, social justice, animal welfare, health and safety… issues can be intertwined with the materials we work with, our wardrobes and even our households, I explore how petitions don’t exist in a vacuum of change-making. I highlight some of the ways we can use petitions to engage with law-makers but also business and what other types of action we can take to advocate for change, if we feel called to. I mention ShareActionUK, a useful organisation that helps individuals who want to use their status as shareholder, even if only through their pension pot, to help create change. I also mention the short School of Gentle Protest podcast series by Sarah Corbett of the Craftivist Collective, which is a helpful resource for those who feel strongly about issues but don’t see themselves as shouty activists. Finally I share a new making podcasts: the Green Bean Podcast. Katie Green of the graphic novel Lighter than my Shadow and the newest team member at Blacker Yarns has recently started to share her knitting, sewing and illustrating projects in a particularly delightful way. 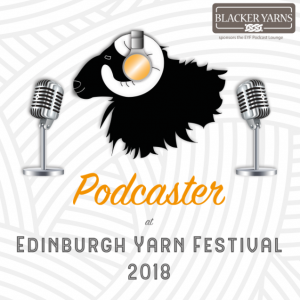 In the interest of transparency, as a selected podcaster I received free entry to the Edinburgh Yarn Festival but as this festival is the highlight of my year, I would definitely have bought a ticket myself it I hadn’t been offered this opportunity. I loved Dante’s contribution to the podcast. I hope he was pleased you included his views 🙂 I also adore your handmade napkins. I make my own napkins too – I was so fed up with the synthetic fabric of the usual offerings in the shops. I’ve used quilting cotton in the main, and it’s so nice to have a decent sized napkin on my lap, or often as not, tucked in to my neckband. What can I say? I’m a messy eater!